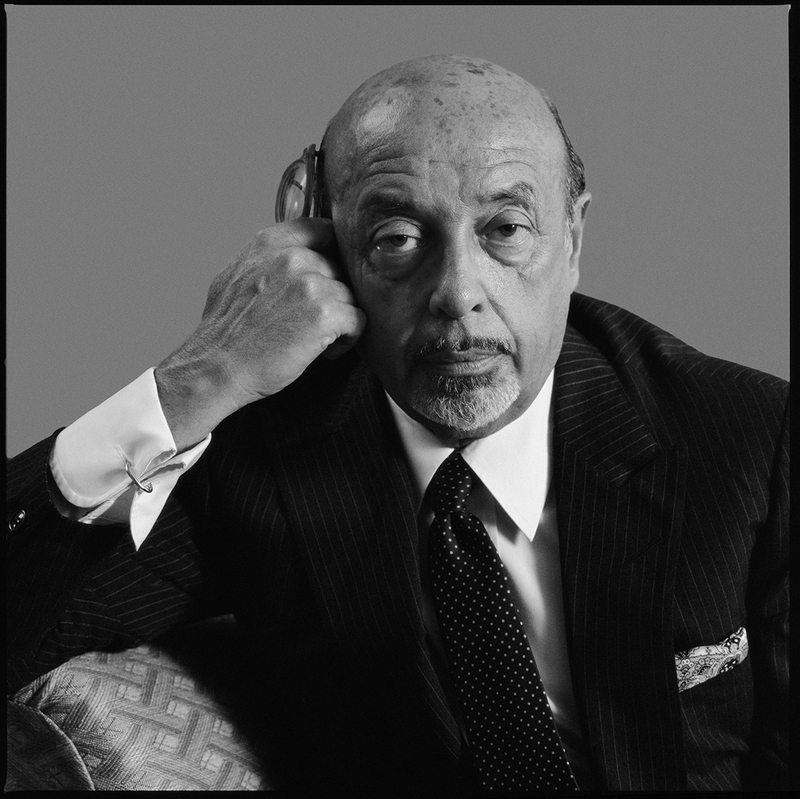 When I was a kid listening to (and looking at) an Atlantic Records album or single, the words Ahmet Ertegun regularly appeared. To this Boomer, it was an odd set of words. A person? An expression? A technical term? Little did I realize how much Ahmet Ertegun (a person!) shaped my sense of American pop music and how much I am indebted to him for being a beacon guiding me to great music. Ahmet Ertegun was born in Istanbul, Turkey on July 31, 1923. With his family (his father was an ambassador) he would eventually emigrated to the Washington, DC in 1935, but while living in Great Britain, Ahmet and his older brother Nesuhi had attended concerts by American musicians like Cab Calloway and Duke Ellington. They loved that sound. Ahmet Ertegun even wrote some songs. The Covers’ “Fool Fool Fool” was one of his hits. ATCO, a spin-off of Atlantic, began in 1955. It had the hit “Splish Splash” with Bobby Darin. 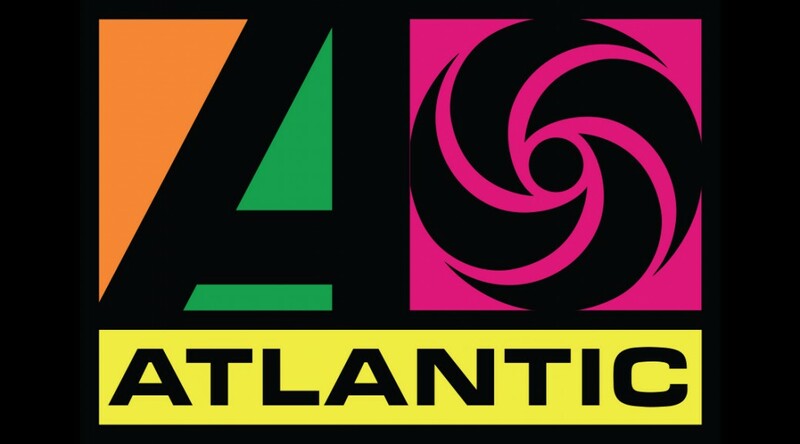 Atlantic Records continued to produce the type of music that had attracted Ahmet Ertegun from the beginning: Otis Redding, Percy Sledge, Solomon Burke, Wilson Pickett, and Aretha Franklin. But the west coast music scene attracted him, too. He signed Sonny and Cher and Buffalo Springfield. 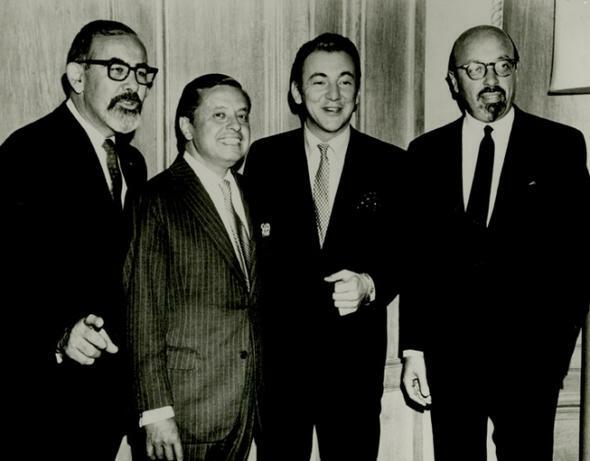 Though sold to Warner Brothers in 1970, Ertegun remained with the label and signed The Rolling Stones to Atlantic Records, The 70’s also brought Led Zeppelin, Yes, Crosby, Stills, Nash & Young, Cream, and Bad Company to Atlantic. The 80s found Rush, Genesis, AC/ DC,Twisted Sister, Skid Row, Debbie Gibson, and Phil Collins on Atlantic. In 1983 with Jann Wenner, the founder and editor of Rolling Stone, Jerry Wexler, Seymour Stein, Allen Grubman, and Bob Krasnow, Ahmet Ertegun helped establish the Rock & Roll Hall of Fame. They approved the Hall’s construction plans in Cleveland, Ohio. Ahmet was inducted into The Rock & Roll Hall of Fame in 1987. On October 29, 2006, while attending a Rolling Stones benefit concert at the Beacon Theatre in NYC, Ertegun tripped and fell. He was brought to the hospital and though initially in stable condition, he took a turn for the worse and slipped into a coma.